Just like any Windows Phone 7 Mango device, the Titan II feels incredibly smooth. The Microsoft platform will make sure that you won’t feel the absence of a dual-core CPU, when navigating the UI or when opening and closing apps. Software-wise the HTC Titan II brings absolutely no news for anyone who has seen a Mango smartphone before. The HTC home-backed apps do add a bit of value, but it’s basically the same experience that you will get on any other WP Smartphone with a 1.5GHz CPU. Still, the Titan II has no reason to fear that it will be treated as just another member of the WP crowd – it’s 16 megapixel camera should be more than enough to book its place in the spotlight. And it’s not just the specs either – the camera seems to perform pretty well too. We couldn’t get the full-res samples to judge the detail level, but the downsized versions are enough to confirm the good color reproduction and dynamic range. Our first impressions of the camera are quite positive. The camera made good use of the favorable lighting and produced some pretty nice shots. The look and feel of the HTC Titan II is quite familiar as well. The device sports the same 4.7-inch SLCD display as its predecessor and the same metal unibody. And despite being a bit on the heavy side, it feels really nice in the hand, giving that solid impressions that we love so much. As for the Titan II’s screen, we were surprised to see that it performs quite well in a sunny environment, unlike most of the HTC smartphones. It’s good to see that the Taiwanese manufacturer has put some effort into improving this part of its smartphones. We still believe that the WVGA resolution is stretched rather thin on a screen this size, but it’s certainly not unbearable. 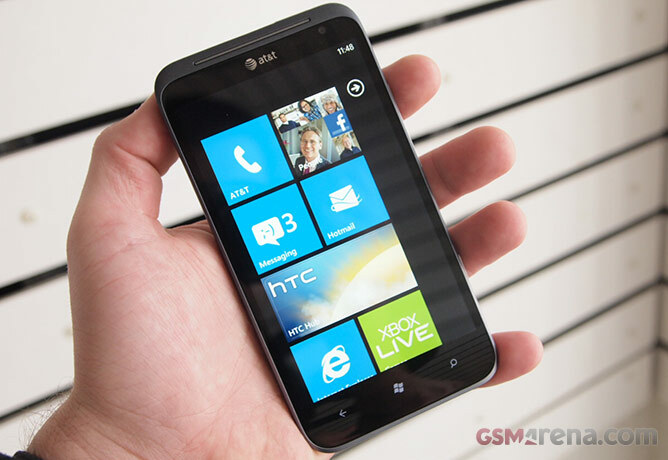 Overall, the Titan II offers one of the best Windows Phone packages on the market. Its LTE capabilities, 16MP camera, extended 1730mAh battery are about as much differentiation as you can get with the platform so every Mango fan will certainly be shortlisting the big fella.